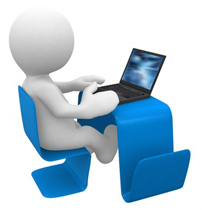 The Online Exam Software is used for setting up multiple choice, Image Questions, True False, Fill in the blanks tests from a question bank for a fixed time periods, when Paper is set by the examiner, Then the paper attempted by the student will submitted and will give automatically corrected results and printed report to the examiner at a single click. Firstly All types of Questions i.e. multiple choice, Image Questions, True False, Fill in the blanks Is added by the examiner to the back end with there multiple options and correct Answers. All the Questions saved by the examiner will come automatically to the students with there type and multiple options in different manner that avoids to copy by the students.The student has to opt one correct answer. The question paper has been fixed a particular time. When it is finished the paper will skip to end automatically. No need to check the exam, on a single click, you will get checked the paper. Saves man power to check paper or for enquiry to the students. No need to check the time remaining for paper. As it automatically displays on the screen. When the time fixed for the paper has been is finished, the paper will skip to end automatically however the student is attempting any question. No need to made different sets of paper as Different Sets comes automatically to different students. On the Spot Result with analysis Reports i.e. You can get result within a minute on a single click of a student. Compatible for all type of Test/Exams i.e. we can prepare any type of paper fro different Subjects.